Tuberculous pericarditis is severe but rare complication of pulmonary tuberculosis (TB). It is common in developing countries and can result in pericardial effusions, cardiac tamponade and constrictive pericarditis in severe cases. The most common cause of tuberculous pericarditis is extension from a contiguous infection (by mycobacterium). 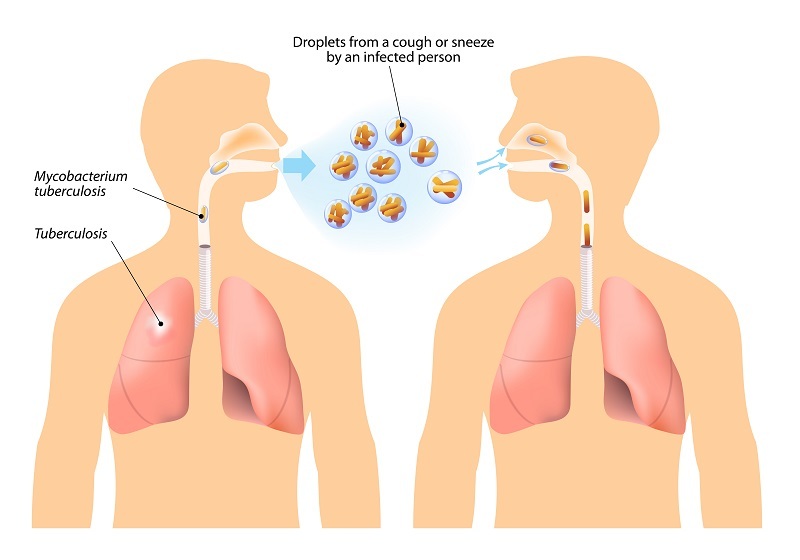 Signs of tuberculous pericarditis include dyspnoea, fever and cough, chest pain, orthopnoea, weight loss, ankle oedema, cardiomegaly, distended neck veins, hepatomegaly, tachycardia, etc. The complications of pericarditis include pericardial effusion i.e. 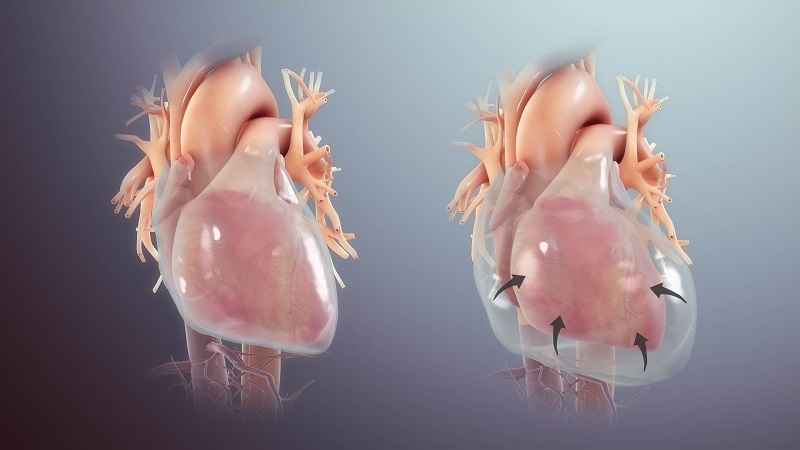 building up of fluid in the pericardial sac (between two layers of the pericardium) which in rare cases results in cardiac temponade (increased pressure on the heart and sudden difficulty pumping enough blood). Pericardial effusion and cardiac tamponade interferes with the normal heart functioning. Advanced imaging techniques are used for the diagnosis of these conditions. 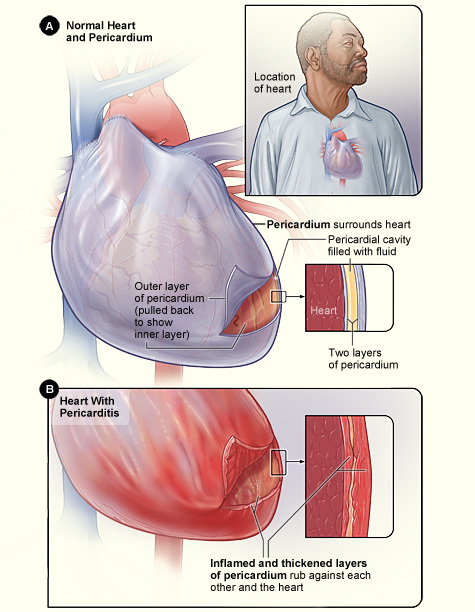 Pericarditis is inflammation or swelling of the pericardium. Due to inflammation, the two layers of pericardium rasp against each other (when the heart contracts and relax). There are various medical conditions that increase the chances of pericarditis such as renal failure, cancer, tuberculosis (TB), rheumatic fever, swelling or inflammation of the heart muscle, cardiac dysfunction, autoimmune disorders, infections (bacterial or viral), etc. Sharp chest pain is the common symptom for pericarditis. If not given proper treatment, the patient might suffer from cardiac tamponade, abscess (within the heart or in the pericardium), infection can spread to surrounding areas, constrictive pericarditis, etc. Heart serves as a pumping organ to circulate blood. The heart is divided into two chambers, the upper chamber is called an atrium (or auricle), and the lower chamber is called a ventricle. The heart consists of several layers of a tough muscular wall, the myocardium. A thin layer of tissue, the pericardium, covers the outside, and another layer, the endocardium, lines the inside. Some common heart diseases are coronary artery disease (CAD), heart Failure, pericardial disease, etc. Pericarditis is an inflammation or swelling of the pericardium (two thin layers which surround the heart, hold it in place and help it work). These layers are fluid filled and provide lubrication for the heart. Pericarditis causes chest pain (as the layers swell). 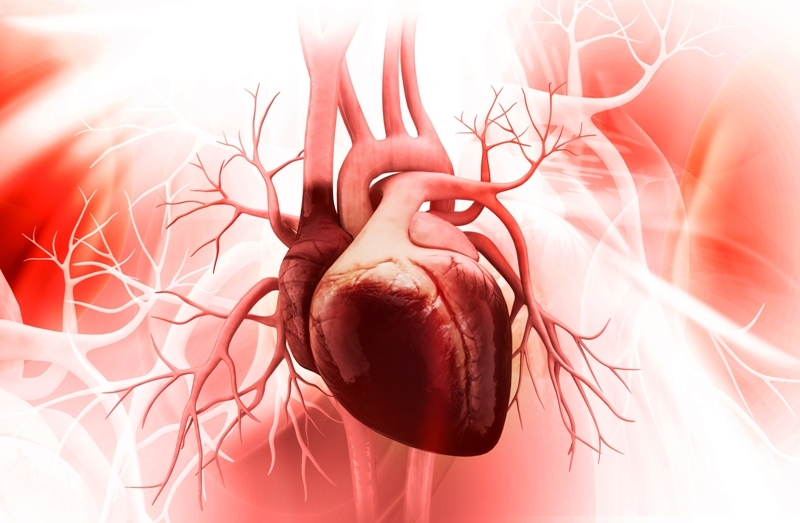 Heart disease is a term that covers a range of disorders that affect the heart. 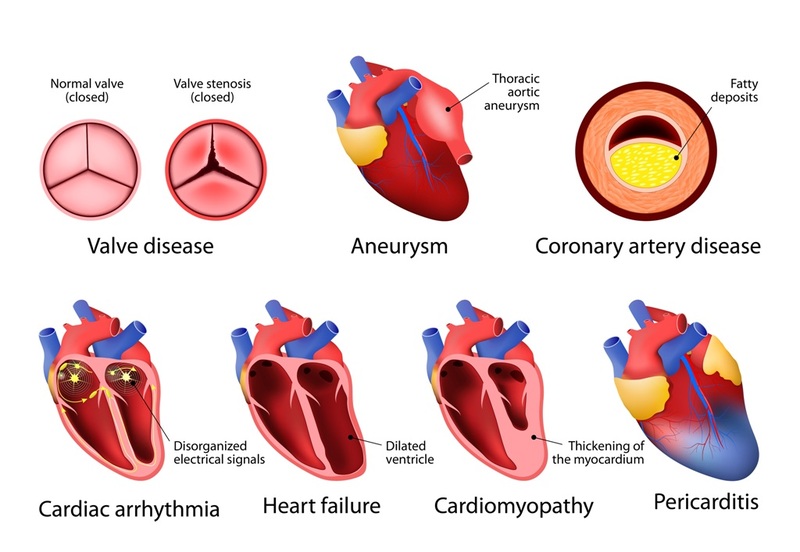 Coronary artery disease is the most common type of heart disease. Another term for heart disease is cardiovascular disease. Risk factors associated with heart diseases are high blood pressure, diabetes, elevated blood cholesterol level, obesity, stress, age, radiation therapies in some cases, lifestyle such as smoking, poor eating habits, physical inactivity, etc. Pericarditis is the swelling and irritation of the pericardium, the thin sac-like membrane that surrounds your heart. Pericarditis is an acute condition which develops suddenly and lasts up to several months. It can lead to complications such as constrictive pericarditis, cardiac tamponade, etc. Pericarditis usually causes chest pain and a high temperature (fever). It can be easily treated with pain relievers and corticosteroids.